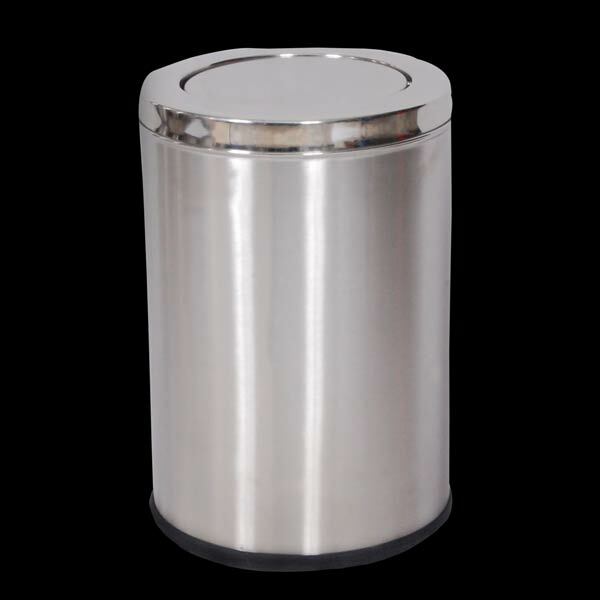 Avail from us Stainless Steel Swing Dustbins that are round in shape and have swing lids. The Stainless Steel Swing Dustbins that we deal in are designed and tested under the supervision of experts. Thus, our Stainless Steel Swing Dustbins are excellent in terms of design, density of the body and endurance. Stainless Steel Swing Dustbins can be acquired in different sizes and designs from us. We are renowned as Stainless Steel Swing Dustbins Manufacturer, Exporter and Supplier in New Delhi, India. Sizes : 8"x12", 8"x24, 10"x14", 10" 24", 10"x28", 12"x24", 12"x28", 14"x24", 14"x28", 14"x34", 15"x30", etc. Uses : Corporate Offices, Workstations, Hotels, Kitchen, Malls, Hospitals, Residential, Industries Factories, Institutes, Railways, Airports, etc.